She sat there in the living room of our Southfield, Michigan, home her eyes glued to the book. Not once as she was reading did she glance at her husband, who was sitting directly across from her. I had left to make some tea and when I returned with a cup and saucer she was in tears. “Your story brings back memories. Tragic events that I had long since forgotten.” And then she told her story. “My father was employed by the NKVD and the event you mentioned here, about the massive round up of dissidents that night, he was ordered by the ministry to help out. When he returned early the following day I could hear him sobbing and shouting and then he sat at our kitchen table pounding his head. He said he felt guilt for those he had arrested and conveyed to the train depot. They were just ordinary people. Innocent people who were as loyal as he was to the Party were arrested during another one of Stalin’s reign of terror. 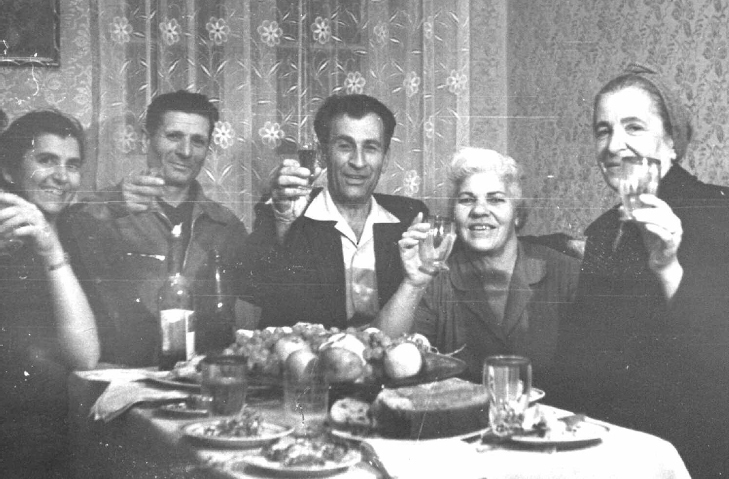 In the spring of 1949 thousands of Soviet citizens and hundreds residing in Soviet Armenia, including repatriates who had earlier belonged to the nationalist Tashnag Party or to the Ramgavars, but returned after World War II to their homeland in hopes of building a better life for their families, were rounded up and exiled. She continued her story, “The next day I went to school and when I entered my classroom I looked for my two closest friends. I thought it strange, for they were never late. I took my seat and waited. When our teacher entered the classroom, we stood, as we usually did, and greeted her. She asked us to take our seats. I continued to look at their empty desks, they did not come. Noticing my gaze, the teacher ordered me to pay attention. 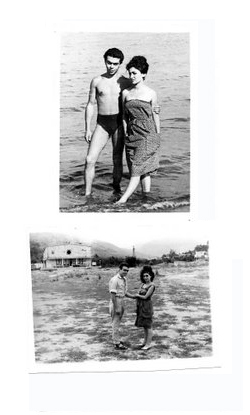 She said that it was on that day she had vowed she would marry someone who would get her out of the Soviet Union and take her to a land where she and her family would not have to fear the government. The voice belonged to Armen-Dei and his words still ring in my ears. His wrinkled, ageless face is as vivid in my memory as if he were still sitting on his bench in the garden behind the Pioneers Palace in Yerevan, Armenia. In the days to come Armen-Dei would convince me that I, too, should have wine in my blood. Our friendship would last more than a decade. Armen-Dei would never, ever reveal his age, but he laughed as he drank from the cup…and ate the lavash bread with cheese. “I am older than…” he would start and then break into laughter, “Do you know that we Armenians are descendants of Noah’s son, Shem. In fact, I am named for one of Noah’s grandson’s, Armen. What could I do but humor him? And then he would remind me that Noah lived to be over 900 years old. A Bible! In an atheistic country! A Soviet citizen could be prosecuted as “an enemy of the state” if he possessed a Bible. All the churches had been closed and the believers sent off to Siberia. The Soviet Constitution did do that and more, I agreed. Armen-Dei had survived in the ungodly world of the Soviet Union and lived in a world surrounded by children, orchards, vineyards, and the mountains of the Caucasus. In his courtyard, filled with laughing children during the summer months, he would tell of the times that were and the times that would be. He would retell the story of Noah and the Ark and God’s Covenant. He would offer me a cup of love. And I learned to do so. In a country whose citizens were restricted from owning land and producing anything outside the collective farm, Armen-Dei had created an acre of organic tapestry where mulberry and cherry trees, a vineyard, tomatoes, cucumbers and corn would flourish. Armen Dei must have been over 100-years-old when I first met him in that courtyard. 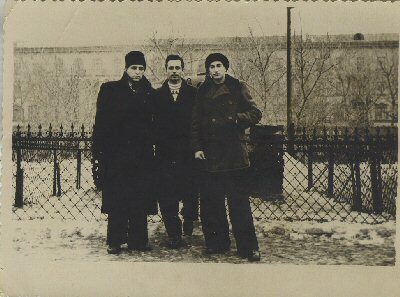 I was but 20, alone in a strange country, a repatriate living in my ancestral homeland in Soviet Armenia. His eyes had seen the rise and fall of Czar Nicholas II, World War I, the Bolshevik Revolution, and the rise and decay of Stalin. He had also watched a young Armenian Republic struggle for independence and on the right road to democracy when the Soviets armies marched in and destroyed freedom in the guise of building a “workers’ paradise”. The transformation from a capitalistic to a socialistic system proved deadly. Untold suffering for all was not what the Soviet citizens and the working class had expected. But that is what they got. 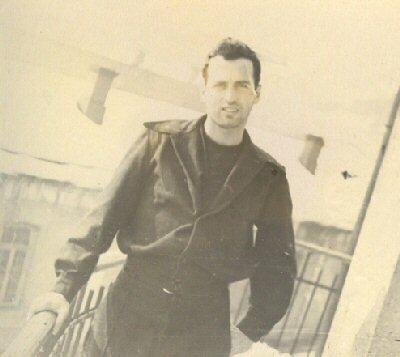 Miraculously shutting out the rest of the Soviet world, Armen-Dei built his world with a panoply, created of his own hands – a rose wall made of Armenia’s natural stone, tuff. Ironically, on the other side of the wall, stood a foreboding three-story Gothic building, the office of the KGB (nee NKVD). A few years ago, I returned to free Armenia. I visited the courtyard near where I had spent part of my youth teaching youngsters to play basketball. And stood at the spot where I had first met Armen-Dei. The trees are still standing, but the bench, the garden, and the vineyard were gone. This is Part 1 of A Person of Interest. Read Part 2 here. Once my feet had touched American soil there was a sense of relief. A cathartic sensation never before or since experienced flushed my veins. My nightmare in the USSR was over. I was a free man – free from the Soviet sham, from the terror one suffers as a citizen of a totalitarian state. I was no longer in the clutches of the KGB. Or was I? How naïve I had been back then. How naïve I am. When the KGB stepped out of their shadowy nooks and abandoned their imbecilic stratagem to unmask me as a “sleeper”, a “tool of the capitalists”, I asked them why the continuous surveillance. Why were their agents following me? I never got a satisfactory answer. Those thirteen years behind the Iron Curtain are now history. Those thirteen years without a single Christmas…or Easter…or letter or parcel that had not been opened. I lived in a Soviet Republic that desecrated over 1000 churches and padlocked the doors or used the religious edifices as shortage space. How tragic it all was…for it did not have to be as history reveals. Today the terror of the night is but mist and the fear to live is blotted forever. But as sweet as it has been to return home, there were bitter moments of gloom and despair. My battle left me with scars. As proud as I am of my country and of the American people, the treatment afforded me upon return made no sense to me at the time. I understood the “hate mail” and I understood why some employers were terse, even rude, when they learned of my past, but…Depression had set in and I took long walks. Friends had lives of their own. I was broke and miserable. The agent raised his hand. A black sedan came out of nowhere, stopped at the curb and the agent opened the door for me, inviting me to get in. Once we were seated, the driver headed toward the Federal Building. I would soon learn that they did.